Our practice, Mt. Vernon Center for Dentistry, specializes in family dentistry. 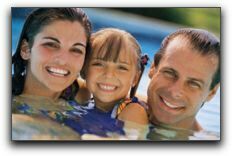 If you have a family and are looking for a family dentist, give us a call. You can reach us at 703-360-5881. Mt. Vernon Center for Dentistry provides family dentistry to the greater Mt. Vernon area, including Alexandria, VA.
You can learn more about family dentistry at https://www.cosmeticdentistalexandria.com/about-us/about-dr-geren/.